I found something really cool that I wanted to share with you all! I’ve been wanting to explore our local area more; not just foodie places, but also cultural events, historic sites, local community activities and more! And I stumbled across Nexus River Trips online. Have you heard of them before or been on one of their river trips? They provide 3 hour river trips that sail between South Shields and Newcastle, where you will get to see, and sail under, the Millennium Bridge! I’ve never ever been on the river Tyne, or even walked any great distance along the banks of the river, so I thought it could be a great way to see our beautiful city from a different angle, and also have some fun. I had a look through the list of river trips they offer, and my eyes were instantly drawn to two. (Yes, they both involve food!) The first one was for Quayside Night Lights which takes place in the evening and on board there will be live music and a hot pie and pea supper. As you go down the river you get to see the quayside beautifully lit up at night and sail under the Millennium Bridge. Doesn’t it sound like fun and something so different from a regular night in watching detective crime shows? Also, for £15 a person it doesn’t seem a lot for the experience and a hot dinner! My second trip idea was the Fish & Chips trip which involves fresh fish and chips (of course!) and a commentary on the local river history as you sail along the river Tyne. Again, I think this would be great to learn more about the history of our area and to eat in a different setting. The price is £12 for an adult, and I think it could be a fun activity for a summer afternoon. What do you think? Have you ever done a river trip before? Would it be something you’d consider doing this summer? I so want to do this, what a great idea!! 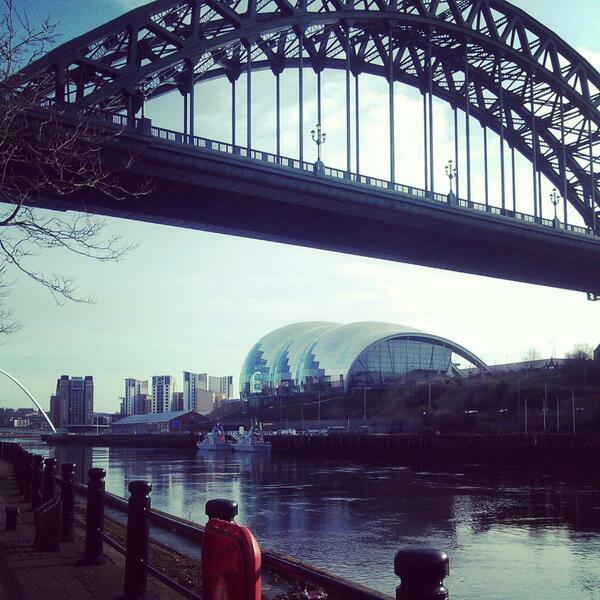 I’m not sure if it was a Nexus run trip, but as part of the Sage Americana festival a couple of years ago, we took a trip down the Tyne while 4 or 5 different artists played, it was a delightful afternoon, good music and a new aspect on the North East, I’d recommend a trip!